I have owned many knives over the years but these are by far the best. Weighty but not too heavy, they cut and slice with ease and a degree of accuracy that is hard to beat. I absoilutely love them. Go into a store and try them. I think you'll be pleasantly surpised. 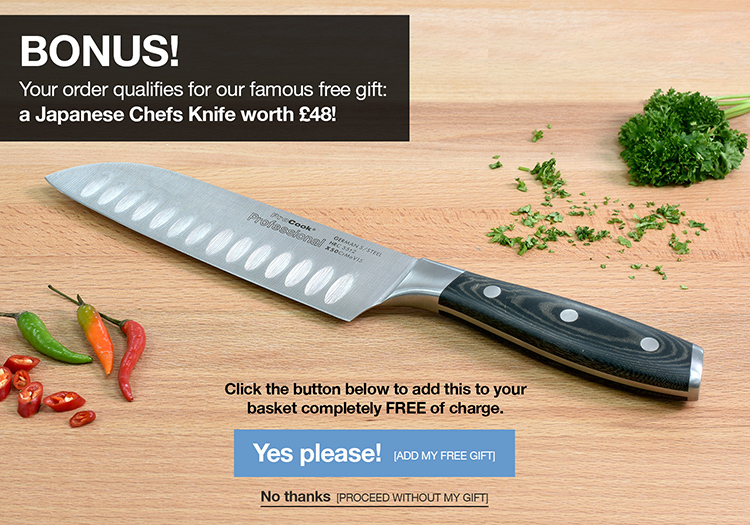 The ultimate knife set, the ProCook Elite Forged X70 knives ooze style and functionality. The 8 piece set includes 9cm paring, 13cm utility, 13cm & 18cm santoku, 15 & 20cm chefs, 25cm bread and 25cm carving knife with a beautiful oak knife block to house them. The handle features a triple rivet design ensuring the knife feels strong and solid in your hands with an ergonomic curve that fits the shape of your hand perfectly making them very comfortable to use for a prolonged period. 25-year knife guarantee - 1 year knife block guarantee - ProCook design, manufacture and supply innovative quality product and cut out the middleman to bring you unbeatable prices.